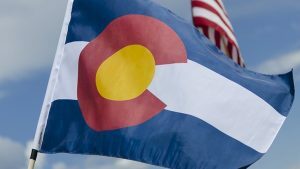 Marijuana sales in Colorado exceeded $1 billion as of August of this year, with tax revenue from those sales coming in at $200 million, according to a report from the Colorado Department of Revenue and its Marijuana Enforcement Division. Total combined recreational and medical marijuana sales through August hit $1,022,245,511, according to the MED, setting the state on a trajectory to break last year’s record of more than $1.5 billion in sales. State officials highlighted the industry’s growth in a news release Thursday. The release also shared findings from the Marijuana Enforcement Division’s 2018 Mid-Year Update, released Sept. 10. The quarterly report found Denver, Boulder, El Paso and Pueblo counties are the industry’s hot spots, growing 80 percent of all plants in the state as of June. It also found that while sales of marijuana flower remained relatively steady, sales of edible products and concentrates like hash oil and live resin grew significantly. Between January and June, edibles sales shot up 13.8 percent over the first six months of last year, and concentrates sales skyrocketed, growing 94.6 percent over the same period. That growth comes as little surprise to Nancy Whiteman. She’s the founder and CEO of Wana Brands, the leading infused products and edibles brand in the state. After clearing $14.2 million in sales last year, Whiteman said her company — led by its marquee gummies — is on pace for 25 percent growth in 2018. Wana is in the process of ramping up production of a new disposable vaporizer line that Whiteman said uses high-end mechanical components and high-end concentrates. Continuing sales growth in Colorado can be linked to the shifting demographics of who is buying, in Whiteman’s view. Who are those people? More women and more older folks, Whiteman said. They are being drawn in by diversifying options including more products containing cannabidiol, or CBD, the non-psychoactive marijuana ingredient that many people embrace for physical relaxation and pain management. Colorado will almost certainly set a new marijuana sales record in 2018, but the rate of growth is slowing, data show. Year-to-date sales totals through August grew 2.6 percent this year over the $996.4 million in combined med and rec sales seen to the point in 2017. But that 2017 total was up 18.7 percent over the $839.4 million in sales to that point in 2016. The 2016 total was 31.5 percent higher than a year prior.